The eye care team of Dr. Richard L. Wilson Optometrist in Toronto, ON is strongly dedicated to helping patients achieve optimal visual health. Part of this mission is to make sure our patients are properly educated about eye care, as well as the optometry treatments they will be receiving in our clinic. On this page, you’ll find answers to some of the most common questions we receive from our patients. Please take the time to read the provided information. Do you test for ocular diseases at your office? Yes. 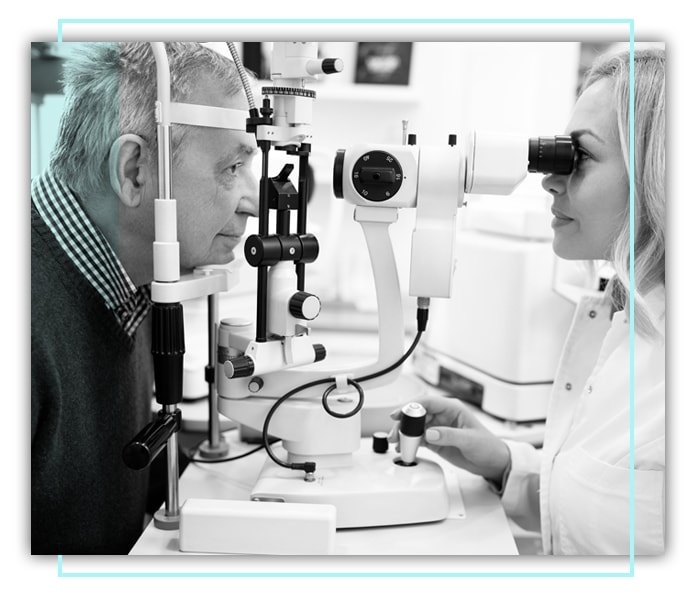 As part of our complete eye exams, our team can test for a variety of eye-related diseases, including cataracts, glaucoma, and macular degeneration. We recommend that you have your eyes checked at least once every 2 years. This is especially important if you are over the age of 40 as the risk of many eye diseases increases. Patients over the age of 65 should have an eye exam every year. You should bring any eyewear that you are currently using (contacts, glasses, sunglasses, etc. ), as well as any medications you are taking. You should also bring your health card. Should you have further inquiries about our optometry clinic and services, please do not hesitate to contact our eye care team! We will be happy to answer all your questions. Call our office today and speak with our representatives.